Today I made a jaunt to my nearest bead store in Osseo, MN. I needed some 18 and 20 gauge craft wire for some mock-ups I want to make (trial-and-error projects). To be honest, this store has a lot of supplies other than beads, but their stock and prices aren't really competitive with my online sources. The only advantage is that I can get something I want the day I want it ... if they have it. In this case I was looking for at least 40yards of wire for my projects. They didn't have it. The most they had was 4 yards of 18 gauge and 6 yards of 20 gauge (the bigger the number the finer the wire. 18 gauge is about the thickness of a toothpick, maybe slightly less.) I bought a 6"x6" sheet of, what I believe is, aluminum (its composition wasn't labeled) for less than $3. The two packs of wire were a little more than $4 each (more than I wanted to pay, but I needed it. I got a really good deal on a sterling silver charm of the Eiffel Tower for less than $4 (less than eBay). So, over all, I was happy with my finds. What I am not happy with is the lack of a local store I can go to to look at some really innovative materials, I don't know, like wire mesh, a variety of metals in wire, sheet, and tube form that I could shape, form, and embellish to my heart's content; different paints, glues, finishing agents like acid; fibers of different shapes, colors, and textures. A place where I could have the opportunity, perhaps, to have some workbench time to workshop with other artists. A place with an impressive and inspiring variety of examples and projects that would make the most accomplished artist stop and take a moment to process, admire - not just things someone could look at any of the projects for 3 seconds and understand completely how to construct because (s)he had been doing that and more for ages. Someplace Sean could go, too, and not become insanely bored in less than two minutes. Local stores are good for different things. Some for prices, some for variety of materials, some for specific materials. Is there someone that can do it all? 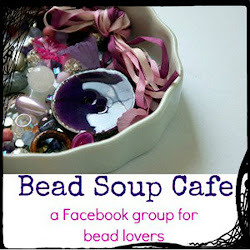 With so many bead stores closing in the Twin Cities (SO many!) - where are the innovations in the existing stores to prevent their downfall? Do they truly believe if the others close that their customers will just come to them? With the increasing availability of internet vendors, that is not a logical assumption. In fact, there is are really wonderful vendors in my links section that demonstrate there are already sources with great prices and selection. Again, one must really exploit the advantages of a local brick and mortar store such as making everything a jeweler could dream of available at one location, to be able to touch, feel, and imagine wonderful things. To make the trip to the store worthwhile for people from everywhere in the region. You see, my five year plan is to open a bead shop of my own. Trying as I can to be innovative, to shop around and get the most for my money, to play with traditional and unique materials in new and unexpected ways, to expand my boundaries, I want my store to embody that. 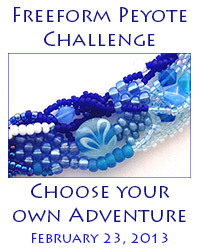 It may be selfishness on some levels - wanting to get a really good price on the materials I want to use in my designs. However, I also want to inspire people to expand their boundaries. The best online vendors have pretty expensive shipping and you have to purchase a lot to make it worthwhile - so if I have a more broad selection, If I have people with expertise available for advice and conversation, I could still compete. More than the financial rewards, however, I want to do my part in reminding people of the power and viability of living as an artist, the spiritual, intellectual, and emotional renewal that it offers one and all. I want people to know the power of holding a hammer in hand and know they have more than one option for the nail they have in front of them and have the opportunity to give creativity a chance. Once you are given a glimpse outside of the box, no matter how creatively challenged one might feel, it will become easier to see the possibilities - not just for metal, glass, wood, fiber, but for the world. This is what a bead store should do. This is my dream. I sell glass beads I've made on eBay. I'm sure that's a point that anyone who might be reading this blog might know, but the point I want to discuss today is related. About three days ago I placed a set of "orphan" beads for auction. 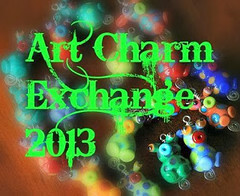 In the eBay lampworking world, the keyword "orphans" means a large set of random beads. Compared to some beads which can sell for ... an unlimited amount per bead depending on the artist, demand, size, color, and such, orphans beads normally end up being sold for approximately $1 per bead - a steal in the lampworking world. On eBay, in which sellers have the option of selling items off to the highest bidder, there is an option where you can enter a bid for the highest amount you are willing to pay for a set of beads. The bid does not automatically go to that value, but will trump the bid of anyone else that comes by and bids less than your total amount. The rules of economics that are at play here are what interest me. As I've said, normally, these orphan sets sell for approximately one dollar per bead. In this case I'm selling 197 beads in a renovated cigar "bead box" that holds the lot. The total retail price is $580. I doubt I'll get $580. In fact, at this point with 1 day and 22 hours and 30 minutes to go, the bids are only up to $48.77. Several of the people who have bid have bid more than once and have, indeed, entered a "highest" price that they subsequently raised by re-bidding. I understand the short-term economics at work here ... sort of. The value, to the customers of this kind of item, is contingent on the demand for that object. The aggregate demand, as stated over and over, suggests quite a higher "highest bid" than the highest bid these customers have been entering. However, it is almost as if they are hoping, perhaps, by bidding so low, others will be convinced not to bid, thus keeping the price low; saying, so to speak, "I don't really care about these and neither should you." This notion of bids and competition on eBay is very intriguing to me. I'm sure there's an official economic theory behind it and if you know what it is I'd love to understand. But, for now, I'm mostly just befuddled.